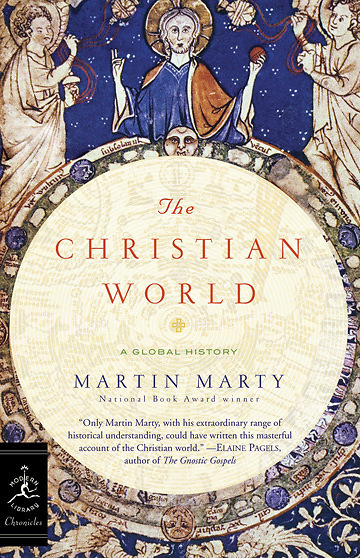 In this cogent volume, renowned Christian historian Martin Marty delivers a brief yet sweeping account of Christianity and how it spread from a few believers two thousand years ago to become the world's largest religion. Comprising nearly one third of the world's population-more than two billion followers-Christianity is distinctive among major faiths in that it derives both its character and its authority from the divinity of its central figure, Jesus Christ. Examining this facet of Christianity from historical and sociological viewpoints, Marty lays bare the roots of this faith, in turn chronicling its success throughout the world. Writing with great style, and providing impeccable interpretations of historical, canonical, and liturgical documents, Marty gives readers of all faiths and levels of familiarity with Christian practices and history a highly useful and supremely accessible primer. He depicts the life of Christ and his teachings and explains how the apostles set out to spread the Gospel. With a special emphasis on global Christianity, he shows how the religion emerged from its ancestral homelands in Africa, the Levant, and Asia Minor, was imported to Europe, and then spread from there to the rest of the world, most often via trade and conquest. While giving a broad overview, Marty also focuses on specific issues, such as how Christianity struggles with the polar tensions inherent to many of the faith's denominations, and how it attempts to reconcile some of its stances on armed conflict, justice, and dominion with the teachings of Christ. "The Christian World "is a chronicle of one of the great belief systems and its many followers. It's a magnificent story ofemperors and kings, war and geography, theology and politics, saints and sinners, and the earthly battle to save souls. Above all, it's a remarkable testament to the teachings of Christ and how his message spreads around the globe to touch human experience everywhere.